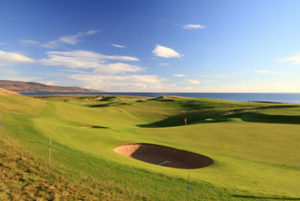 The first hole, Ardassie, named after the reach of rocks on the seaward side, and the name of the house which became the Links Hotel and now the Links Apartments, is a gentle introduction, slightly dog-legged with at one and the same time a receptive and deceptive green. 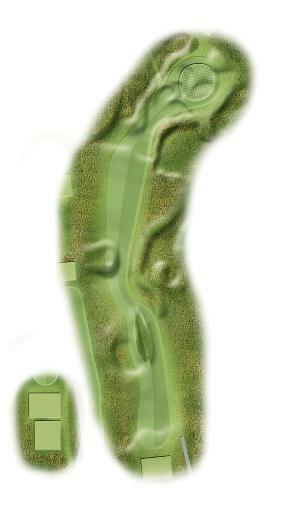 Pin placement can be arranged to ensure three putts. Hole descriptions are from Hugh Baillie’s book, “Golf in the Back of Beyond” - available from the Pro Shop.